"Australian Progress"was built in 1960 as"Stanvac Progress", renamed in 1961 as "Mobil Progress". "Scrapped in 1977 at Kaoshiung. Built 1960 by Schlieker-Werft (Willy H Schlieker) KG Hamburg, Germany. This vessel was powered by an American-built steam turbine which was originally made for an American “flat top”. But the war ended and the “flat top” was never built. Its two engines were put into storage until one was bought by Stanvac for STANVAC PROGRESS. 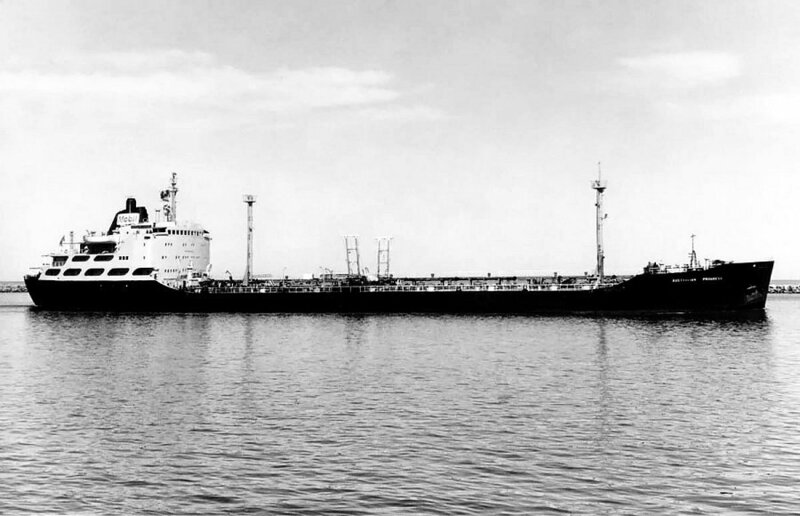 As STANVAC PROGRESS, the vessel traded in the Far East until the dissolution of Stanvac in 1962, when Stanvac’s assets were divided between Mobil and Esso. As MOBIL PROGRESS, the vessel traded internationally but, because she was rather small for Mobil’s needs, she was used to trade clean product around the Australian coast as AUSTRALIAN PROGRESS. Jumboised in 1970 from 13,857 SDWT to 15,600 SDWT, and transferred to Petroleum Transport International (Pty) Limited. 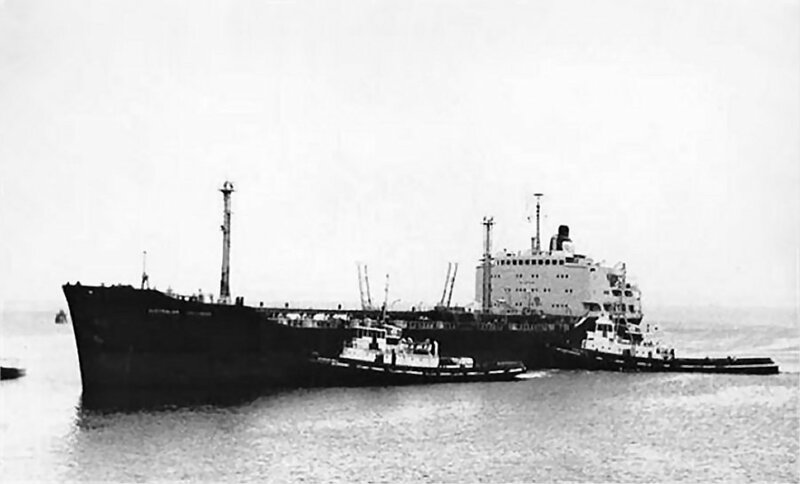 Renamed as MOBIL DURBAN, she traded on the South African coast until she was scrapped in 1977. "Australian Progress", ex. "Mobil Progress", ex. "Stanvac Progress". The Miramar Ship Index for "STANVAC PROGRESS"
Petroleum Tpt International Pty Ltd.